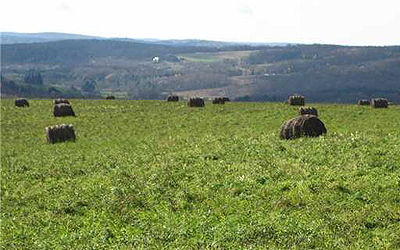 Cortland County is in the glaciated Appalachian plateau area of central New York, midway between Syracuse and Binghamton. 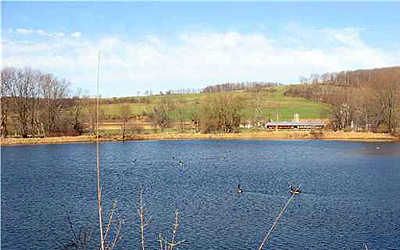 This predominantly rural county is the southeastern gateway to the Finger Lakes Region. What was to become Cortland County remained within Indian territory until the American Revolution. Marathon was formed from Cincinnatus, in 1818 as "Harrison," embracing the southwest quarter of the military township. Its name was changed in 1827 because another town in the state had the same name. Spring is spectacular in Marathon New York. Each spring brings the opening of trout season! Every April Marathon celebrates the end of winter with the Central New York Maple Festival, a 2-day event featuring entertainment, demonstrations, crafts and exhibits. In autumn, you can wander Cortland's back roads and take in some of our spectacular upstate color. Winter sparkles with downhill and cross-country skiing, snowmobiling, ice fishing and numerous other cold weather activities. Picturesque central New York features many state parks, gorges, lakes, hills and lush flatland. Spring is spectacular in Cortland County. Every April Marathon celebrates the end of winter with the Central New York Maple Festival, a 2-day event featuring entertainment, demonstrations, crafts and exhibits. The Cortland Country Music Park's season gets under way in May and features many Nashville stars. If you enjoy bluegrass, plan to attend Bluegrass on the Green in nearby Homer. Cortland County's fairs and festivals highlight summer activities. You'll enjoy the Cortland County Junior Fair, Holiday in Homer, the Cortland Downtown Sidewalk Festival, church bazaars and the Fireman's Field Day. In autumn, you can wander Cortland's back roads and take in some of our spectacular upstate color. There's also a local cider mill and the annual New York State Draft Horse Association Show and Sale as well as Dwyer Memorial Park with one of New York's largest antique and classic auto shows. Our rural heritage is evident in area harvest festivals like the Cincinnatus Corn Fest and the Great Cortland Pumpkinfest. The winter season is brightened by the J.M. McDonald Sports Complex which is committed to meeting the needs of our youth for indoor soccer, hockey, figure skating, lacrosse, 4-H programs and much more! They also feature an indoor walking track, meeting facilities and major community events. Each spring brings the opening of trout season! Over 130 miles of trout streams make Cortland County an ideal place to try for browns, rainbows and brook trout. There are also 22 miles of warm-water rivers and over 25 lakes and ponds, which provide an abundance of fishing. 30,000 acres of state forestland are perfect for hiking, biking and enjoying. You might also want to take a side trip to Lime Hollow Nature Center featuring educational exhibits and hiking trails. Five public golf courses also await your skills while Cortland County provides thousands of acres of state land for hunting. Winter sparkles with downhill and cross-country skiing, snowmobiling, ice fishing and numerous other cold weather activities. Three ski areas make this a natural choice for skiing. Greek Peak Ski Resort provides an ideal destination for ski vacations with slope-side accommodations. Labrador Mountain, boasting over 20 trails and slopes, has three base lodges. Song Mountain, featuring 25 trails and 5 lifts, provides some equally spectacular skiing just minutes away.